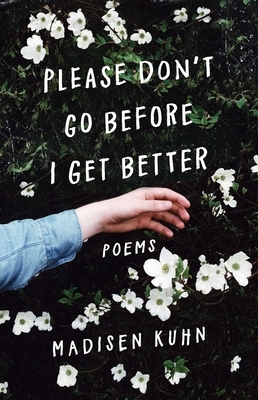 Discover this exquisite poetry and prose collection about the pains of growing up from the popular millennial Instagram poet, perfect for fans of Amanda Lovelace and Rupi Kaur. Chronicling the complexities, joys, and challenges of this transitional phase of life, Please Don’t Go Before I Get Better is a powerful, deeply affecting work that pierces your heart with its refreshing candor and vulnerability. A poignant exploration of self-image, self-discovery, and self-reflection, this anthology brilliantly captures the universal experience of growing up, and you are bound to find yourself reflected in these glimmering pages. Madisen Kuhn is a writer living in Charlottesville, Virginia. She likes to explore topics of identity, belonging, sexuality, and mental illness in her work. In 2015, she self-published Eighteen Years, a collection of over 200 poems. She is currently pursuing a BFA in Studio and Digital Arts.